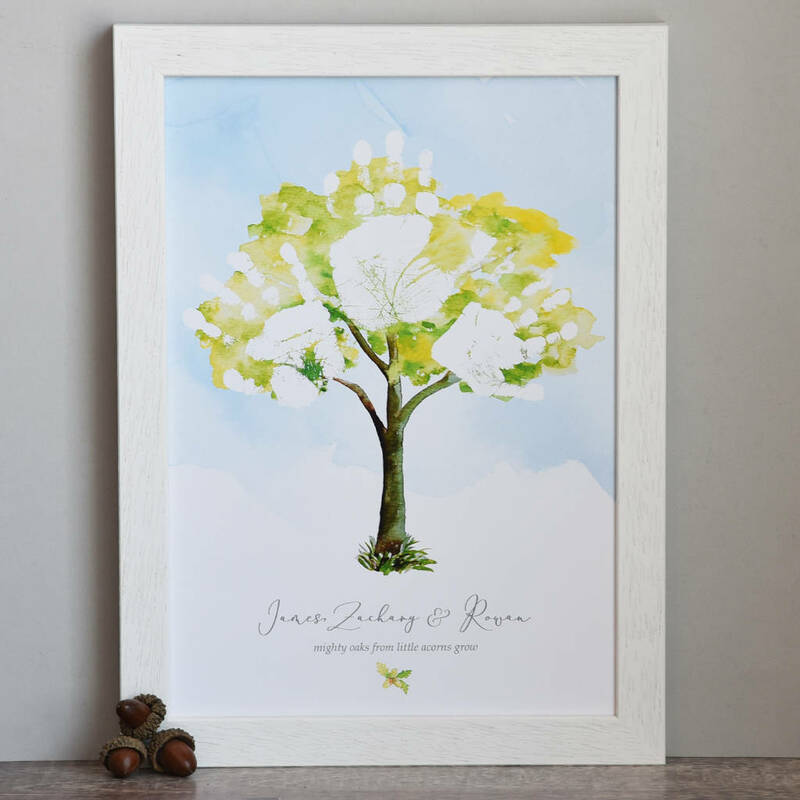 A beautiful personalised oak tree print, featuring two or three of your children's own unique handprints. This beautiful bespoke print is able to feature two or three children's handprints, so it's perfect to capture handprints from brother's and sister's. Your children's names will feature beneath the prints together with the line "Mighty oaks from little acorns grow". A gorgeous way to celebrate your family. Printed on archival quality 230gsm paper. A4 print size (h) 207mm (w) 210mm. Available unframed or framed. Frames are handmade in the U.K. and are perspex glazed.